Since Oceana was founded in 2001, Southern California’s supporters have been vital to the science-based organization’s success. 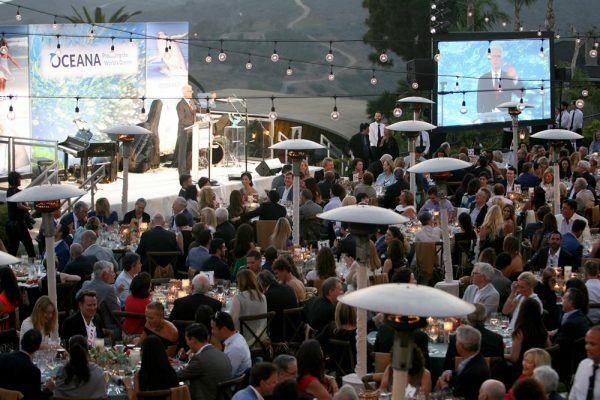 Now the world’s largest advocacy organization dedicated solely to ocean conservation, Oceana holds its largest annual fundraiser, SeaChange, in Laguna Beach Saturday, July 15. 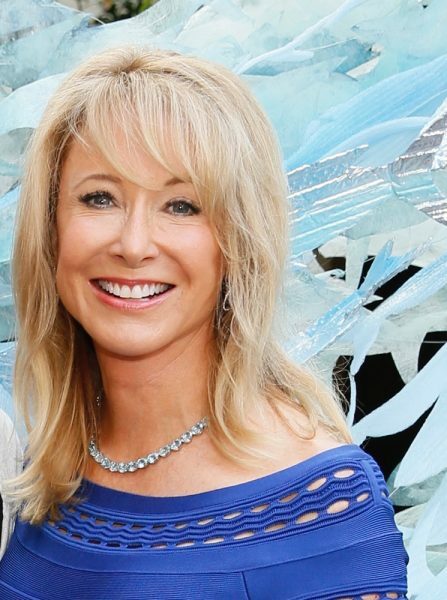 Oceana board Vice Chair Valarie Van Cleave, a longtime ocean advocate, is a founder of SeaChange, which has raised over $12 million for ocean conservation. The event voted “best gala in Orange County” promises to make good on its reputation for its 10th anniversary. Co-chaired by Lady Lux lifestyle magazine Chief Executive Elizabeth Wahler, it will be held in a private home with special guests Sam Waterston – a long-time Oceana supporter and everyone’s favorite TV district attorney – and the wryly hilarious Lily Tomlin. Here, Van Cleave talks about what Oceana is doing locally to protect the fragile marine ecosystem, the concrete progress that they’ve made, and her hope that bringing health and vitality back to the world’s oceans is an achievable goal, worth throwing OC’s best party for. What are the greatest ocean threats in Southern California? Coral gardens, sponge beds, and rocky reefs provide homes for many species of fish, octopus, and sea stars. These living seafloor structures provide areas for shelter, feeding, and breeding for many species of marine life. The health of the living seafloor could be at risk if there is expansion of a fishing practice called bottom trawling, which drags heavy gear and a large net to catch fish species — like lingcod and rockfish — that live along the seafloor. In August 2016, Oceana partnered with Marine Applied Research & Exploration (MARE) and the Channel Islands National Marine Sanctuary to conduct an expedition exploring the Southern California seafloor in order to gather images, video footage and data illustrating the importance of seafloor structures to the health of this vibrant ecosystem. Alexandra Cousteau, a senior advisor to Oceana and granddaughter of the famed undersea explorer Jacques Cousteau, joined on this expedition. Actor Ted Danson addresses the SeaChange summer party in 2016. The expedition’s discoveries and the imagery collected were used to support Oceana’s proposal to protect more than 16,000 square miles of seafloor off Southern California from future impacts of bottom trawling. So far, the California Department of Fish and Wildlife has signaled initial support, and the Pacific Fishery Management Council — a 14-member advisory body — is scheduled to take final action on Oceana’s proposal later this year. Working to change fishing practices globally can have an economic impact on those doing the fishing. How does Oceana approach the challenge of tensions in environmental protection: short term economic losses versus long-term habitat preservation? With the understanding that healthy oceans are good for everyone, because they are both economically and environmentally vibrant. Around the world, as many as 820 million people rely on fish for income – whether they raise, catch or sell seafood or rely on someone who does. An empty ocean threatens their livelihoods. That’s why Oceana fights for healthier seas: saving the oceans can help feed the world. In 2016, Oceana commissioned the most comprehensive analysis to-date of European fisheries. The study revealed that 85 percent of European fish stocks are below healthy levels. That’s bad news for all involved. The report also revealed that, with the implementation of science-based fishery management practices, the total European fish catch could increase by 57 percent. That’s a better future—economically and environmentally—for everyone. With so many different environments in danger on the planet, why was ocean preservation the cause that called to you personally? Saving the oceans is a cause that is practical and achievable. It does not take expensive, yet-to-be-invented technology or costly new laws. We can restore healthy oceans by trusting the science, ending destructive overfishing, and effectively enforcing fisheries management laws. I am a believer in big ideas – and saving the oceans is a big idea that is both profound and doable. For more info: visit www.oceana.org/support.